Description: NO MAGAZINE SALES into NEW YORK CITY. CONNECTICUT residents must furnish us state permit copy. This listing is for ONE magazine. 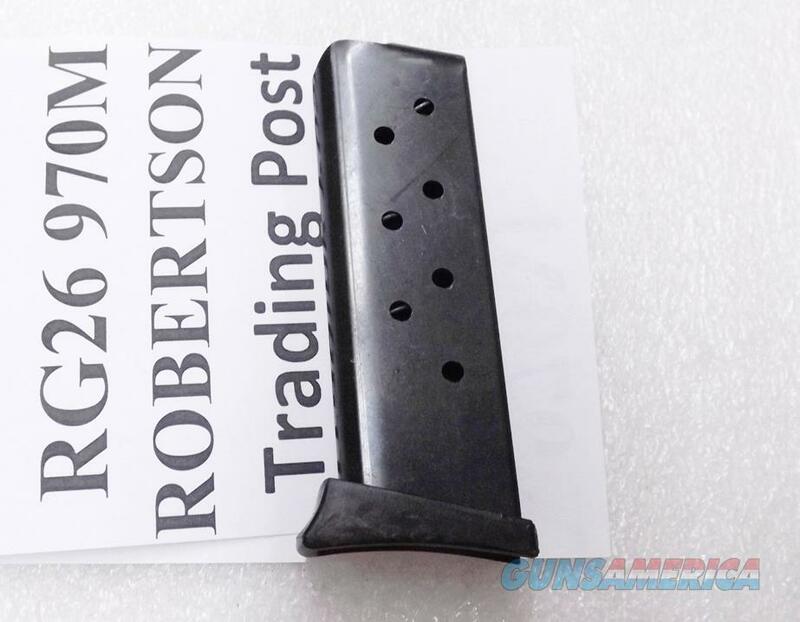 Here are replacement magazines to fit German made Rohm RG26 pistols, or Florida Made RG Industries RG26 pistols, manufactured from about 1967 until 1984. Manufacturer and warrantor is Triple K of San Diego. Construction is one piece folded steel body with lateral round count ports, and with full length welded backs. Cartridge follower and inner plate are steel. Floorplate is polymer finger rest type, like the original magazines; and spring is bench tested steel. Each magazine holds 7 rounds of .25 ACP caliber ammunition. This magazine will only fit RG26 Revolvers made by Rohm in Germany or RG Industries in Miami. It will NOT fit an RG25, the earlier model. It will not fit any other pistol besides an RG26. We’re offering these Triple K Magazines each	for only	$ 26.00. Not for sale to residents of New York City. Connecticut buyers must furnish us a copy of your State Issued Eligibility Permit or Ammunition Certificate.